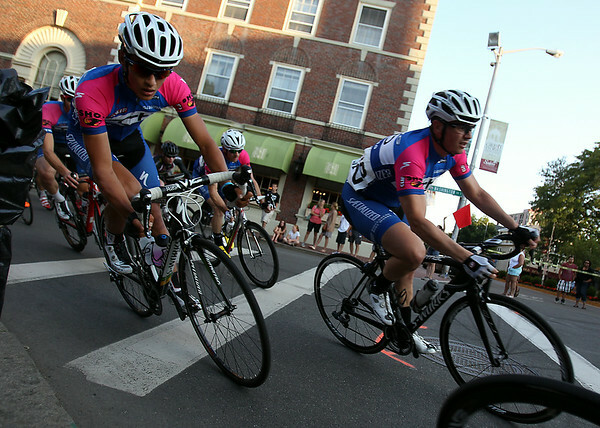 Riders in the Men's Elite race lean into a sharp curve at the corner of the Hawthorne Hotel during the Witches Cup around Salem Common on Wednesday evening. DAVID LE/Staff photo. 8/6/14.